gives the graph with vertices vi and edges from vi to vj whenever f[vi,vj] is True. gives the graph with vertices vi,wj and edges from vi to wj whenever f[vi,wj] is True. 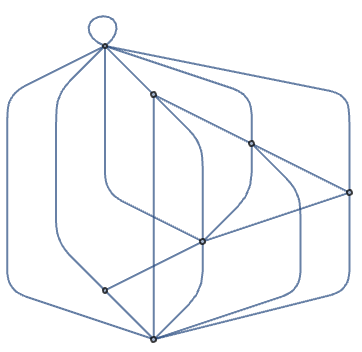 RelationalGraph takes the same options as Graph. The option DirectedEdges can be used to control whether an undirected or directed graph is constructed.